I learned various things from working as a librarian. I learned that the job entails numerous activities. I didn’t previously realize how much work and preparation goes into being a librarian. Also, I learned more about how libraries operate. A lot must take place in order for libraries to be successful. It was fun to learn about different books, computers, and the OPAC system used in most libraries. Overall, throughout this internship experience, I learned that the job of a librarian is exciting, interesting, and ever-changing. Web conferencing: NLC staff are available by phone and through e-mail to discuss general issues relating to the internship grant program. We also invite you to participate in a webinar to learn more about the program from previous grant recipients, ask questions, and listen to the questions and comments of other participants. NLC’s NCompass Live will air Internships: Cultivating Nebraska’s Future Librarians on Wednesday, January 9, at 10 a.m. Central time. In this session, participating libraries will share their experiences with the internship program, including successes and lessons learned. This session will also introduce the upcoming 2013 grant opportunity for internships. To apply: Applications are now being accepted. The deadline for applications is Feb. 15, 2013. More information is available on the Now Hiring @ your library® website, at http://nlc1.nlc.state.ne.us/nowhiring/Internships.asp. 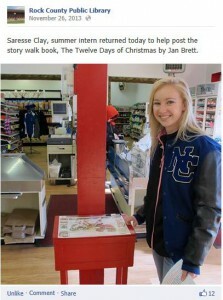 The Nebraska Library Commission’s 21st Century Librarian Internship Grant application deadline has been extended from February 15, 2012, to March 1, 2012. See the Jan. 12, 2012, NCompass blog post for a short description, or visit the Internships page of the Now Hiring @ your library© website. The Nebraska Library Commission’s 21st Century Librarian program offers support for student internships through grants to accredited public libraries. In partnership with the Nebraska Library Association and funded through a grant from the Institute of Museum and Library Services (IMLS) Laura Bush 21st Century Librarian Program, the internship grants increase awareness about library professions and education and the opportunities for employment in Nebraska libraries. So, what can your library do with the internship program? Share your enthusiasm for library education and the library profession. Show interns what happens behind-the-scenes. Partner with other library types to show the variety of work settings. Internship grants range from $500 to $1,000. A library may provide one 100-hour internship during the summer months that might last eight weeks, or two 50-hour internships during the school year that might last ten weeks, depending on the needs of the library and the scheduling needs and qualifications of the internship candidates. Library grantees will recruit, select, and hire their interns. Usually, interns are hired as contract workers and paid on a stipend rather than an hourly wage, but the terms of employment are determined by the library’s governing body experiences. 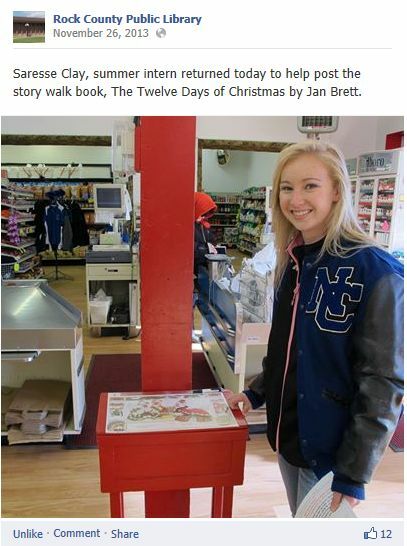 Interns provide valuable assistance with library service activities and local library programming. Library staff help introduce interns to the joys of library service careers. Applications are now being accepted. The deadline for applications is Feb. 15, 2012. More information is available on the Now Hiring @ your library© website.